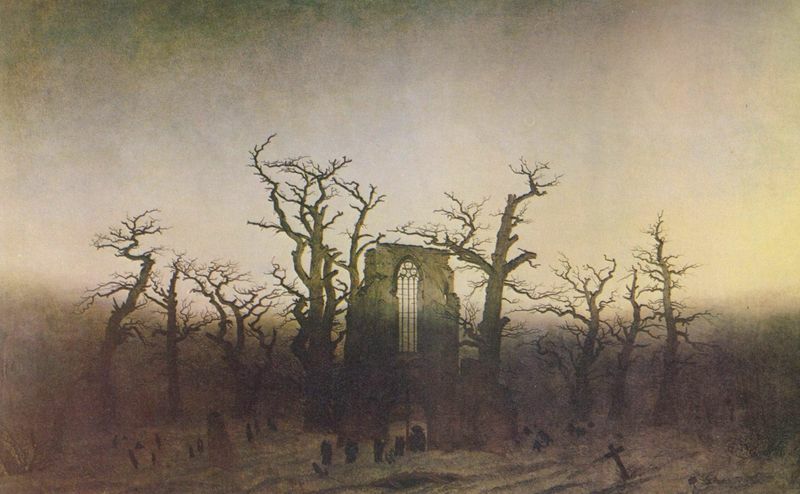 As a German Romantic painter, Caspar David Friedrich was a great contributor to the art world. He had a tough childhood never fully recovering from the deaths of his mother and siblings in his early life. 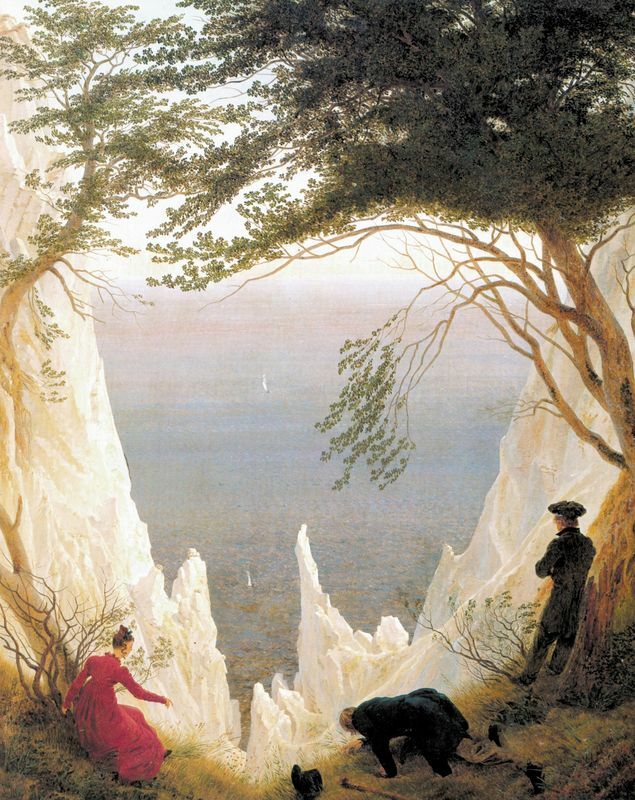 This tragedy transferred over into his art, connecting Friedrich to God, nature and God in nature. His life events helped mold him into an emotional artist who was almost too connected to his work. He experienced some success in his early to mid career but ultimately died unknown and in poverty. 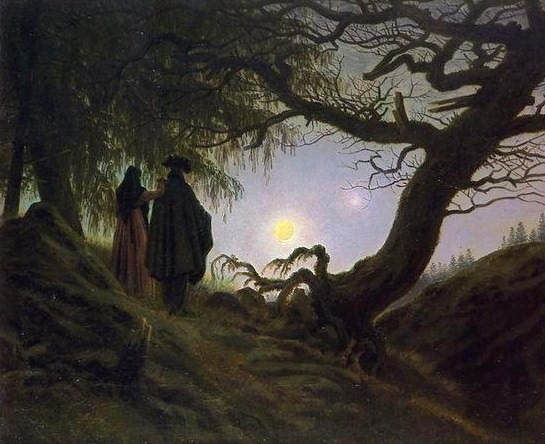 It was September 5th 1774 when soap-maker Adolf Gottlieb Friedrich and Sophie Dorothea Bechly welcomed their son Caspar David Friedrich, the sixth of ten children, into the world. He was born in Griefswald, Swedish Pomerania on the Baltic coast of Germany, an area that would later provide the subject matter to many of his landscape paintings. Caspar David Friedrich suffered a fairly tragic childhood. His mother died in 1781 when he was seven years old, just a year after the untimely death of his sister Elizabeth. Aged 13, Friedrich experienced a fate that would haunt him for the rest of his life; his brother rescued Caspar David after he fell into the icy water while they were ice-skating. However, in his effort to save Caspar David, his brother, Johann Christoffer, fell into the ice and drowned instead. Such guilt plagued the artist throughout his career, reappearing in his later work that focused on graveyards and themes of death. Such a tragedy may have also inspired Friedrich's attempted suicide and frequent bouts of depression. Friedrich began to study art formally in 1790 with Johann Gottfried Quistorp at the University of Griefswald. The outdoor drawing excursions Quistorp took him on ignited his love of depicting nature. 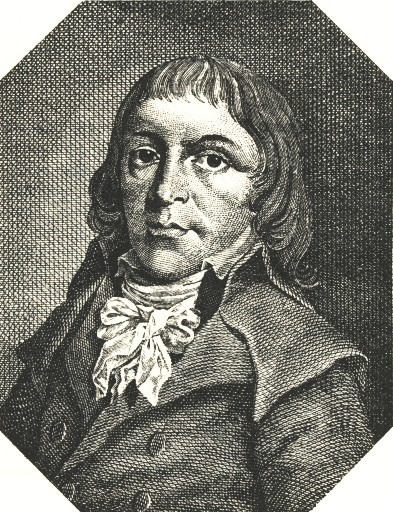 Through Quistorp Friedrich met Ludwig Gotthard Kosegarten, a theologian who believed nature to be a revelation of God - an idea that would remain with Friedrich throughout his life. Quistorp also introduced his pupil to the work of German artist Adam Elsheimer whose religious subjects were often "overwhelmed" by landscapes. In 1974, Friedrich was accepted into the Academy of Copenhagen and there he copied casts from antique sculptures and drew from life. He also studied with a group of progressive landscapists who began moving away from the fading Neoclassical ideals and embracing the new Romantic aesthetic. At the age of twenty-four, Friedrich made the permanent move to Dresden. During this time he experimented with printmaking, etchings and woodcuts but gravitated towards ink, watercolor and sepias. 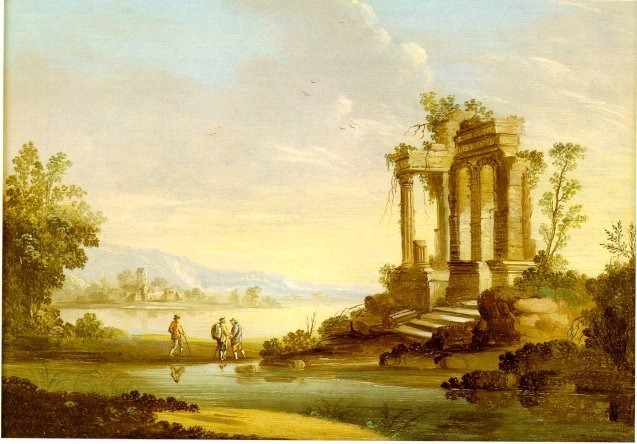 His first oil painting was Landscape with Temple Ruins in 1797 but he wouldn't return to this medium for a number of years. 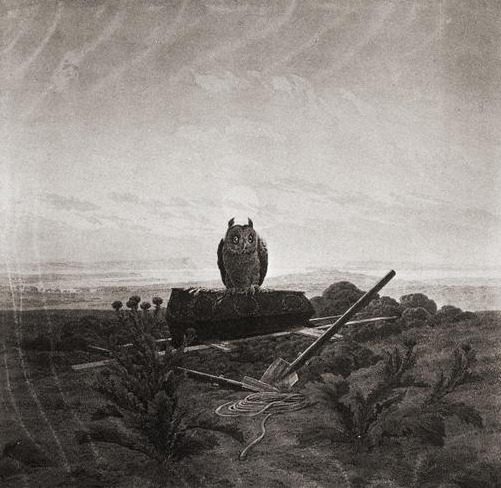 In his late 20s, Friedrich's love affair with landscapes became more serious and his trips to the Baltic Coast, Bohemia and the mountains proved an endless source of inspiration. The artist was particularly fond of woods, harbors, hills, and atmospheric mists. Friedrich developed his own technique of producing studies in pencil only to later add the atmospheric effects from memory when he sat down with the actual canvas. Friedrich gained recognition in 1805 when he won a prize at the Weimar competition. 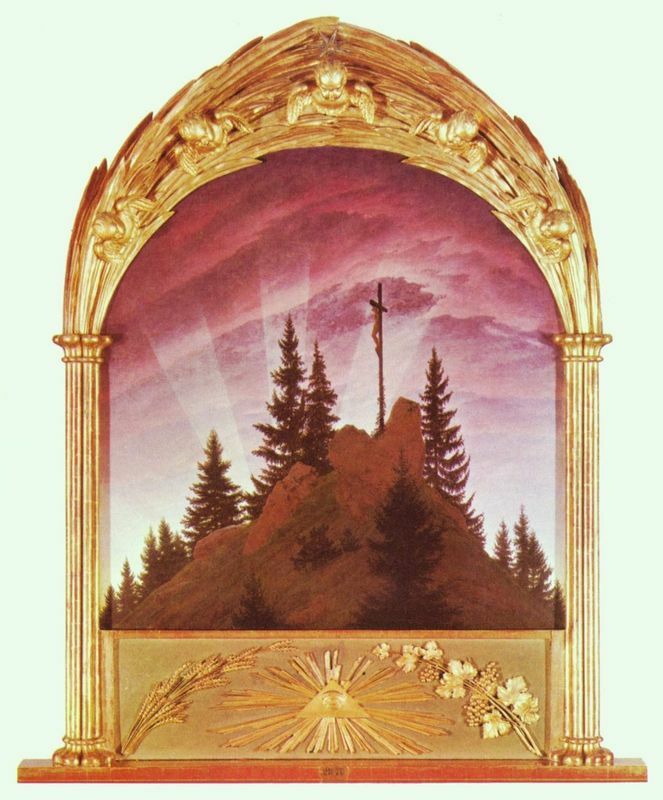 Two years later Friedrich's Cross in the Mountains (The Tetschen Altar) caused a great deal of controversy. His first major work, this painting depicts Christ's crucifixion but the cross is the element least focused on, so the figure of Christ is shown in the distance. Nature dominated the piece; the mountains, trees and sun rays commanded all of the attention. This outraged critics and the work was coldly received but it drew great attention from the public. Several years later, in 1810, Friedrich was elected a member of the Berlin Academy. During this time his paintings were admired by the Prussian Crown Prince. Despite this favor, Friedrich applied for Saxon citizenship to distance himself from Prussian authority which seemed an odd move for the patriotic German given that the Saxon government was pro-French. 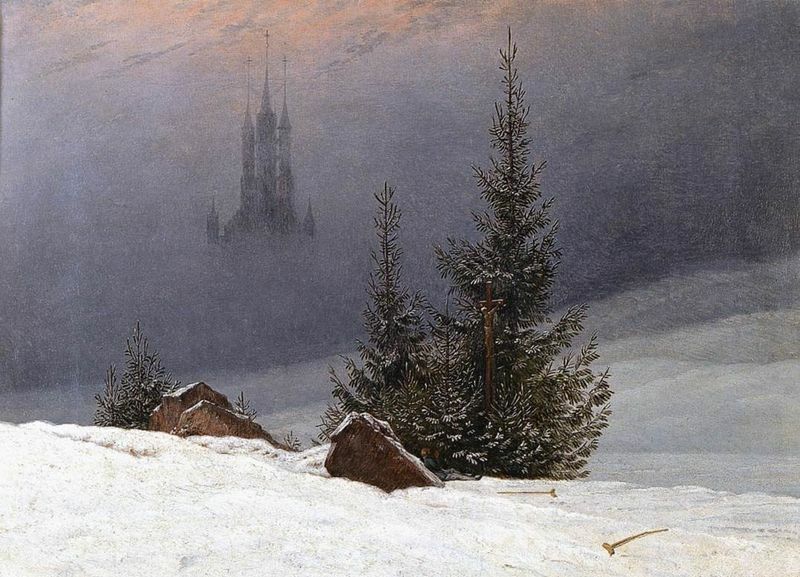 Many of Friedrich's paintings were distinctly anti-French due to his adverse feelings towards Napoleon. (His blatant patriotism in his art would later attract the attention of the Nazi regime. ) Friedrich gained the citizenship he wanted and a position at the Saxon Academy but due to suspected clashing political views, he never attained the professorship he wanted. In 1818 Friedrich married Caroline Bommer who bore him three children. Inferences have been made that his marriage to Caroline was perhaps the reason that more human figures appeared in his work that had previously and some attribute his brightened palette to the importance he now placed on human life. This excitement with life did not last long, however. Soon it was replaced with a more desolate theme. 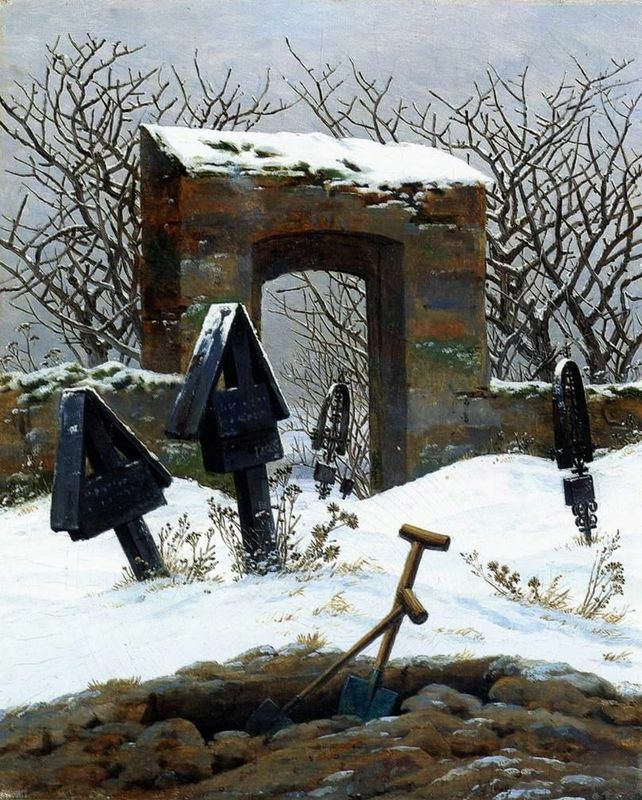 Friedrich's landscapes were decorated with details signifying the end of human life and he focused on memorial monuments and sculptures for mausoleums. The details of his brother's death had come back to haunt him. The last few years of Friedrich's life were difficult ones. As the ideals of Romanticism were being replaced, he experienced a decline in reputation and popularity. The man who just a few years earlier was commissioned by the Russian Grand Duke and the rest of the royal family, now found himself without patrons and living in relative poverty. To make matters worse, a stroke in 1835 greatly reduced the artist's ability to paint, especially in oil. The majority of his final canvases were executed in watercolor and sepia. Friedrich died on May 7th, 1840 at the age of 66.